Did you know that we, here at Vantastic Vans, also have a large selection of used motorhomes for sale? We take pride in offering low prices on our new RVs, but if you are a first time RVer or wish to save even more money, then you are sure to love our quality, pre-owned floorplans. Take a look at what we currently have and find the motorhome you need for a low, low price. 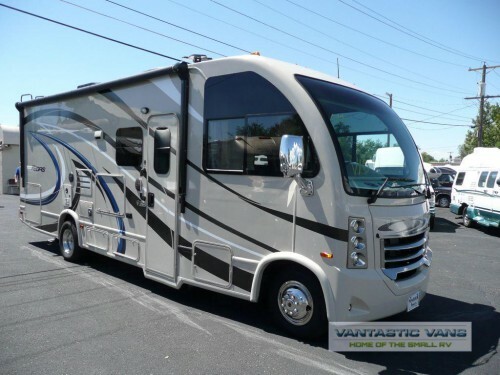 Find beautiful pre-owned Class A Motorhomes! 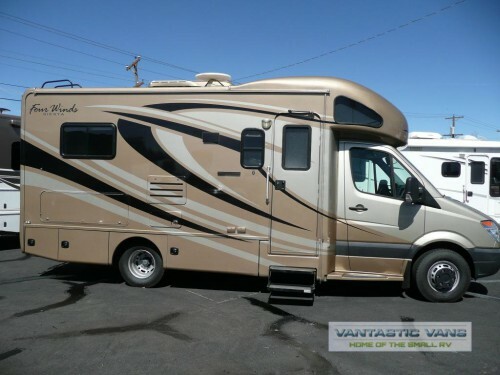 Check out the used Class A motorhomes we have available right now. Like this 2017 Thor Vegas. This beautiful, single slide model will feature enough sleeping space for up to four people and full kitchen, bathroom, and master bedroom amenities. Plus, with TVs located in the bedroom, living room, and outside, you can enjoy more entertainment no matter where you are! Save even more on our used Class B Motorhomes! Of course, we have plenty of used Class B motorhomes as well such as this 2017 Coachmen Galleria. With the tags still on the cabinets, this is as close to new as a pre-owned RV can get! With solid surface countertops, multiple USB ports, a combo wet bed, multiple TVs, and more, you can enjoy all the bells and whistles of this couple’s coach for an incredibly affordable price! 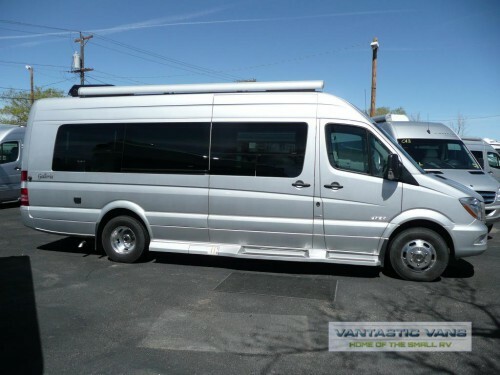 Travel for less in our used Class C motorhomes! Last, but not least, be sure to take a look at our used Class C motorhomes. With options like this Thor Siesta, you can enjoy more comfort on the road for less. This floorplan will come with more items to love such as an extra large U-dinette slide, queen bed, full kitchen, and more! Our quality, used motorhomes will ensure that you get all the amenities you want for a low, affordable price. If you are ready to hit the open road, be sure to contact us or come on by our location and see for yourself how amazing our pre-owned floorplans really are.